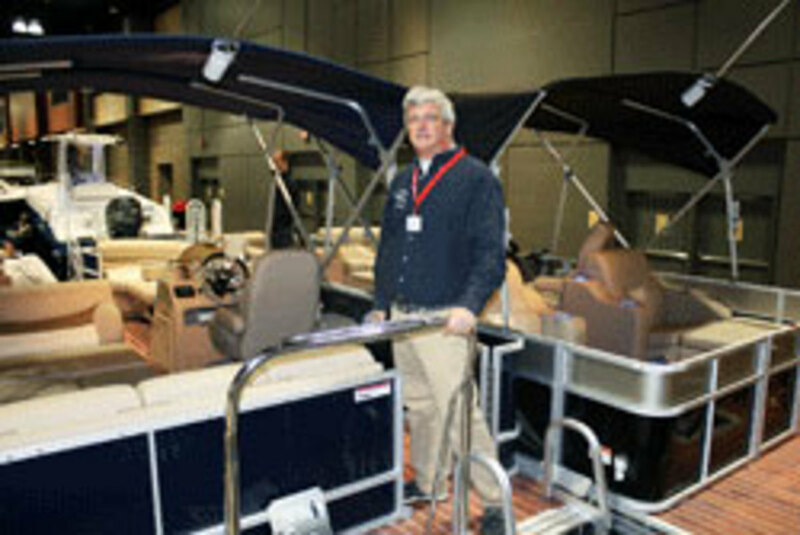 Back-to-back January boat shows gave New England dealers an encouraging foretaste of the 2013 selling season: Attendance rose in Providence (R.I.) and Hartford (Conn.), and there were positive signs at both events. The bottom-line conclusion: People are buying boats again, even in this new economic climate. Beacon Point’s successes were a 25-foot Sea Fox center console and a 24-foot Bentley pontoon boat (a new line that the dealership, which has offices in Greenwich and Shelton, only recently acquired). The story behind the Bentley sale was representative of the wide net dealers can cast in the online era, Petersen says. In addition to the two hard sales, Beacon Point was able to schedule several post-show sea trials from strong leads, including 32-, 26- and 24-foot Scouts. Petersen says his dealership has made sales to customers as far afield as Canada and Europe who found that Beacon Point had the right boat in stock at the right time. 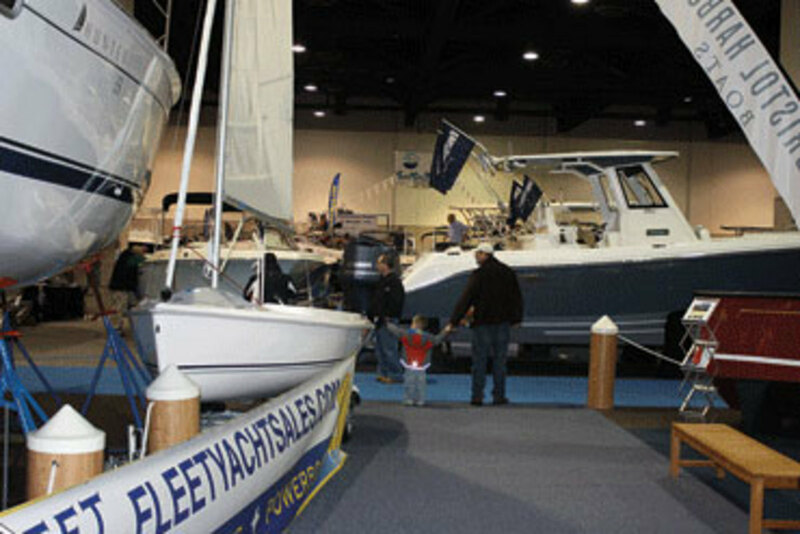 The previous weekend, Providence Boat Show organizers say, despite the 20th anniversary show running for three days rather than four, attendance rose 17 percent from the previous year on the show floor at the Rhode Island Convention Center. Organizer Newport Exhibition Group does not release exact figures. “The Providence show was fairly successful for us for both the Bennington pontoon and Larson boat lines that we represent,” says Susan York-Duquette, who owns Lakeview Marine in Webster, Mass., with her husband, Rory Duquette. “We did sell a few boats from each line, which actually exceeded our expectations going in,” she says. She declined to offer specifics on the sales. Al Elson, president of Striper Marina, an authorized Glacier Bay Catamaran, Pursuit and Sailfish dealer in Barrington, R.I., says his team made three sales at the show and had several strong leads to pursue. “It was refreshing to see such an engaged crowd,” he says. Just 20 minutes after the Hartford show opened its doors, Ben Wilde of Wilde Yacht Sales, a Nordic Tugs and Ranger Tugs dealer in Essex, Conn., was signing the paperwork that closed the deal on a new Nordic Tugs 49 with a customer he’d been working with to move up from a 42-footer. Organizers counted more than 14,000 visitors at the four-day show, which featured about 150 exhibitors and 300 boats. The show office logged more than 110 qualifying sales of vessels and engines, which organizers say is double the level of serious sales activity from the 2012 show. Overall, dealers at both shows echoed the sentiment heard at shows around the country.